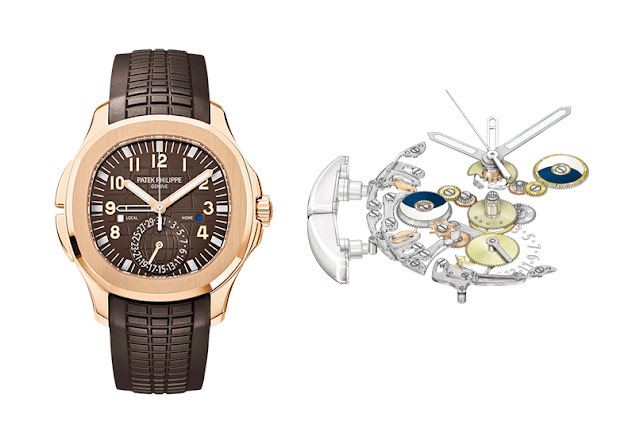 The new Aquanaut Travel Time Ref. 5164R-001 was among the novelties that Patek Philippe presented at Baselworld 2016 last March. The new version of this casually elegant dual time model, launched in 2011 in stainless steel, comes in a rose gold case beautifully combined to a warm-toned brown dial. The case, with its gently rounded octagonal shape, has a diameter of 40.8 mm and, thanks to the screw-down crown, guarantees water resistance to 120 metres. The surface structure of the embossed brown dial reflects the texture and colour of the Tropical strap which is crafted from a high-tech composite which makes it particularly soft and comfortable. Gold applied numerals and luminescent hour markers complete the dial and offer excellent legibility. The hour hand discreetly hides another hour hand that moves in perfect synchrony with it. 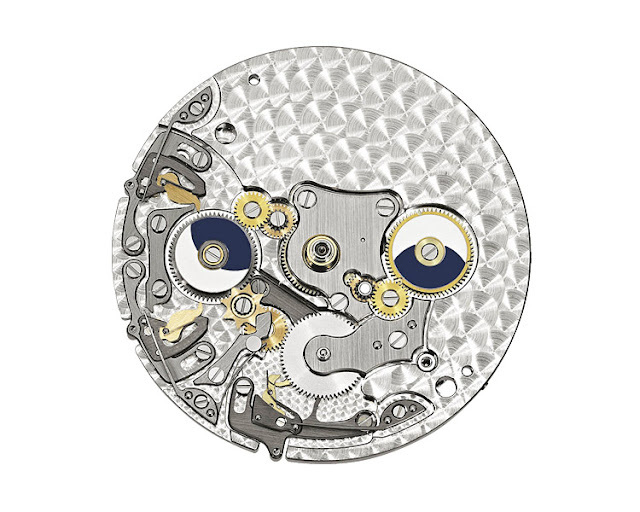 The dual time function is activated only when either of the two pusher-correctors on the left middle case are pressed. At that point, the previously hidden hand will start indicating the Home Time while the main hand will keep displaying the Travel Time. Travel and Home day/night indications are provided through the small apertures at 9 and 3 o’clock respectively. The Aquanaut Travel Time is powered by the self-winding Calibre 324 S C FUS beating at 28,800 vibrations per hour and delivering 35 to 45 hours of power reserve. Chocolate is the new black ;) I see lot of brown dials lately. Patek Philippe Aquanaut Travel Time Ref. 5164R-001. 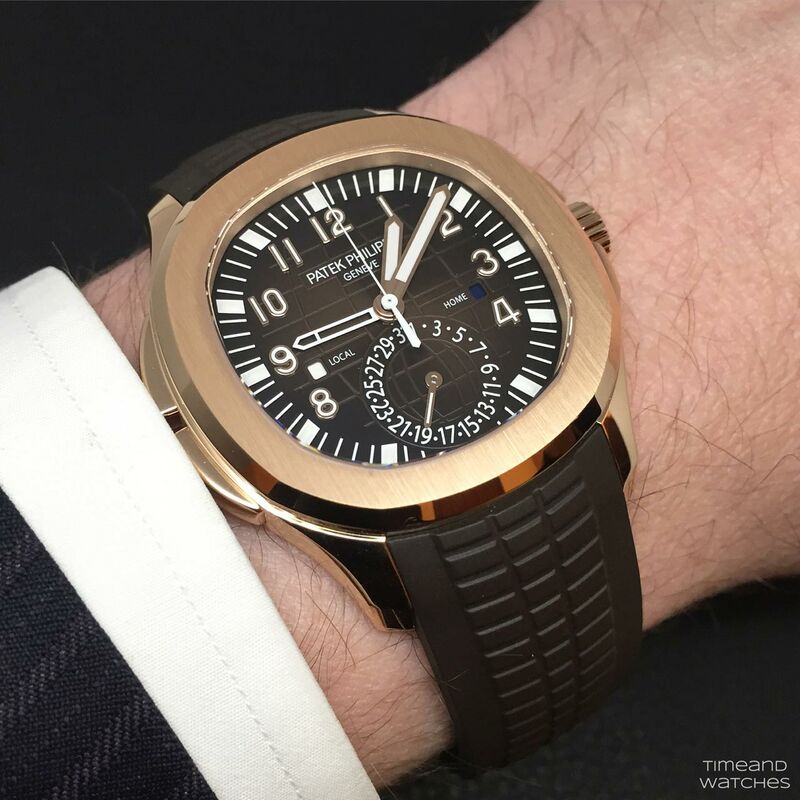 The new Aquanaut Travel Time Ref. 5164R-001 was among the novelties that Patek Philippe presented at Baselworld 2016 last March. 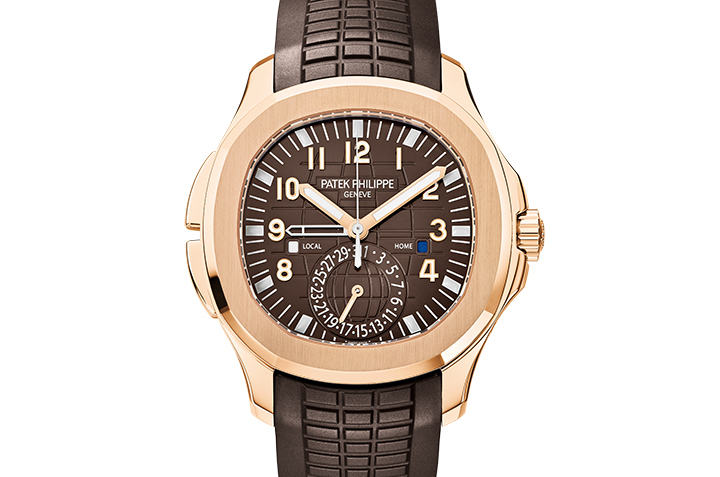 The new Patek Philippe Aquanaut Travel Time Ref. 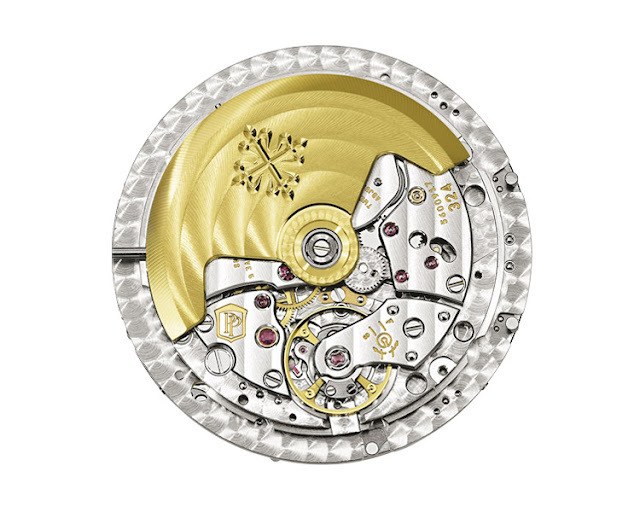 5164R-001 has a price of Swiss Francs 45,000.